As I've gotten older it's become increasingly hard to come up with ideas to give to my family, in-laws or even Gary for myself because if there is something that I really want...I buy it! Seeing as how that takes the fun out of gift giving, this year I waited on a few things that I knew I wanted, but held off on purchasing in order to have ideas for people! So in case you're still on the hunt for a nice little treat for someone on your list - here's what I've added to mine! I've actually outgrown the makeup organizer that I got last year for Christmas and ever since Pamela mentioned this one a few months back I couldn't get it out of my mind. What I love most is the top portion that holds the harder to store items! For only $20 if this isn't gifted to me in a couple of weeks, then I'm 100% buying it! I'm not sure you'd all believe me on the price tag for this passport holder...$4.34 and how darling is it! It comes in 4 different colors with 4 different designs. I feel like I should get this one for every woman in my family that likes to travel!! Sadly it wont be delivered in time for Christmas, but there is always a New Years present! 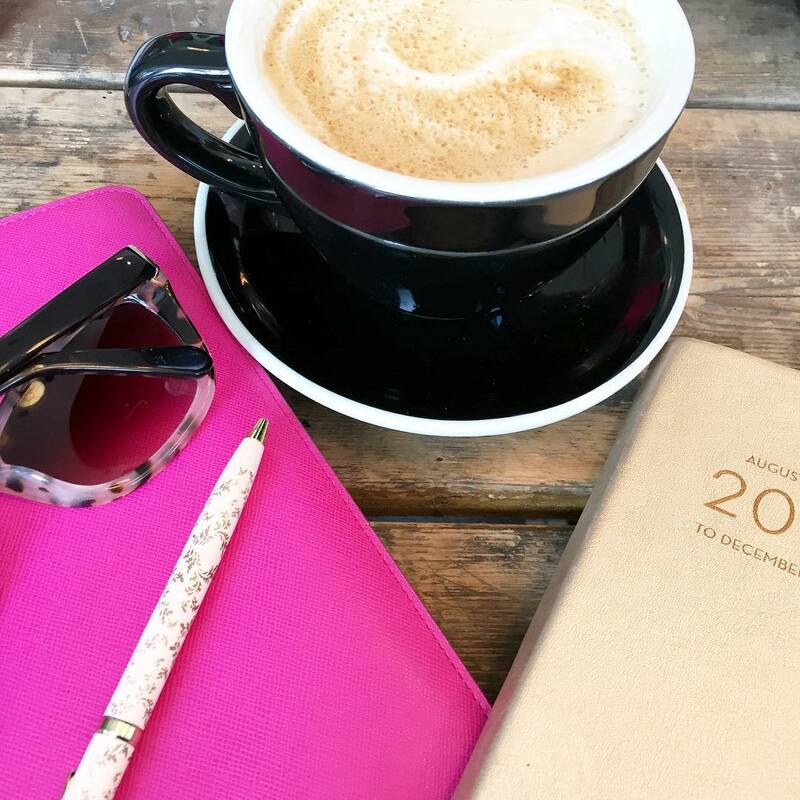 I'm a minimalist when it comes to my phone case - since I have the gold iPhone I want that to show through and I just love this Rose all day case - I think it would be even cuter if I end up getting the rose gold iPhone next year! I've been trying to amp up my coffee table book game and came across this Bright Lights Paris book - it's basically the perfect book filled with the most beautiful photos of Pairs which works for anyone that's in love with the city of LOVE! I usually leave it up to Gary with the jewelry that he buys for me, but when I spot something that I know I like and will wear, I send him a link and basically say "THIS" in the subject line! It's a win/win because he knows he's getting me something I'll wear and I know I'm getting something I like...let's see if I'll be getting these earrings this year! If you follow me on SnapChat then you know I had Sugarfina gummy bears a few weeks ago and they are seriously the most delicious gummy bears ever - what makes these even more delicious...they are champagne infused! Who can say no to that? 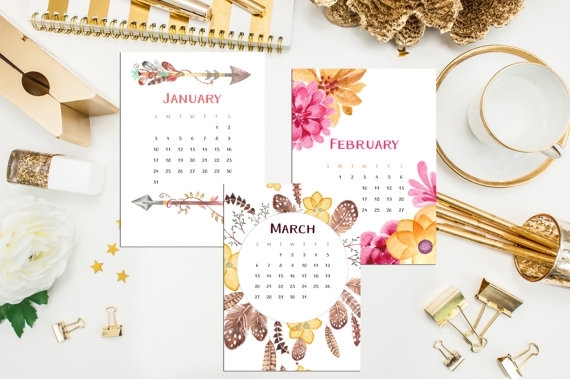 I mentioned a desk calendar last week in my favorites, but what I failed to mention was that I actually added it to my wish list...here's hoping this pretty one will be sitting on my desk come January 2!! 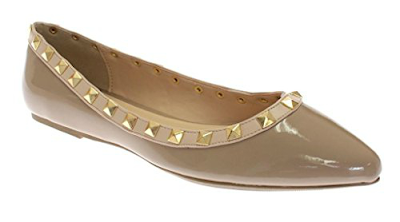 I'm not going to lie - getting a pair of Valentino Rock stud flats would be an incredible Christmas gift, but seriously unrealistic. Since I'm very hard on my flats, I'd rather a pair for such a low price I could ask for 10 and not even come close to the price of one Valentino pair - the ones I have my eye on are under $15!! Now if we're talking a Valentino purse - that's a different story and would be happy with the real deal! I'll be 100% honest (and maybe even a little cheesy) but I really just want my family and loved ones to be healthy and happy - everything else is just gravy!! Did you ask for anything specific this year? Do you still make a gift list? I have the acrylic organizer and it is TOTALLY worth the $20 price tag. I hope Santa, or one of his elves gifts it to you this year, but if not, go get one at Bed Bath and Beyond--and use the 20% off coupon too (or Amazon). I need a desk calendar for work--loving what you ended up going with! Fabulous finds!!! I saw those bears and wondered if they were tasty! 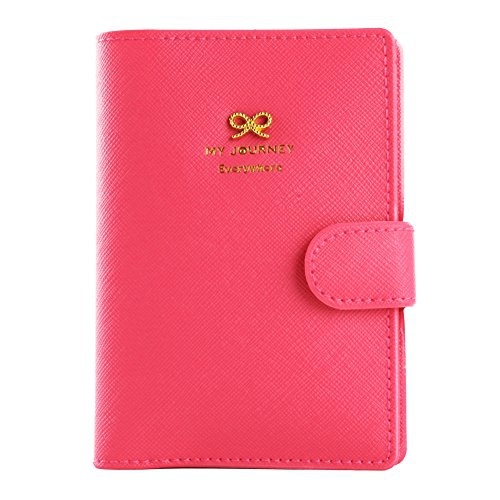 I so need a passport holder, always afraid I'll loose mine, this one is perfection! Fun stuff and I hope you get every one of these but more importantly love the sweet sentiment about your loved ones, sweet and precious as can be!! I'm a one for you two for me type of shopper, so very one says I'm super hard to shop for. My mom would love those flats, thanks. the valentino's are a little steep this Christmas! I agree that finding gifts for myself is difficult. My parents always ask what I want and I can never give her an answer. I love those calendars though! I've been searching for a new one for my office at work! 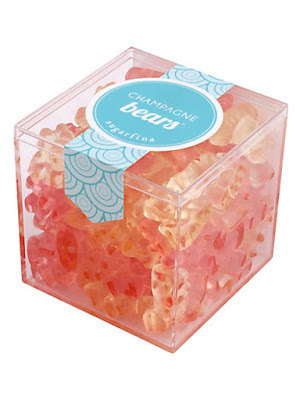 Those champagne gummy bears- YUM! Atlanta just got a Sugarfina and I really want to stop in! Those earrings are so pretty and the gummy bears sound delicious! Love those flats, that passport holder, and those earrings!! I also could not agree more with what you said at the beginning of this post!!! :-) Thank you for sharing lady and have a great day!!! I love the studded flats! I'm the same way with trying to think of things I want for Christmas, because if I want it I usually just buy it for myself when I can get it on sale! Such a great wishlist! And those passport cases -- so cute and such a steal! I've been really horrible about starting to shop for someone else and then being like...but actually I would look better in this so I'm just going to get it. Whoops. Probably why I have gone overbudget so much! ah what a great list! i mean who wouldn't want valentino's? haha. those are a good compromise! and those gummy bears are SO good. a great list for sure! I have been looking at some makeup organizers like that for months I just havent found the perfect one- but I love this one!! I would totally be excited if I got that big box of gummy bears for Christmas! I'm in love with those flats too! I can't believe they're under $15! Love that passport holder and calendar! Great picks! I need that make up organizer and that iphone case! Great list! Those flats are too cute and that make up holder, that may be getting bought today, would be great to have in my bathroom! I love that there is a cheap alternative in FLATS to the Valentino rockstud trend. I've loved it, but I'm not much of a heels girl and it's out of my budget. Maybe now I can rock the look. Those are some great picks! I like those flats, too. I agree Valentino's would be great - but I would hate to wear them for fear of ruining them for the price! Hope you get what's on your list. Champagne gummy bears, are you kidding me?!?!?!!? Amazing! Just amazing, as is everything on this list. Oh gosh, gummy bears are my favorite. Champagne infused?! Sign me up! I have a hard time with a wish list...usually I just browse and try to come up with a few things, but I always end up finding stuff I like better as the season goes on...a lot of that comes from reading blogs! 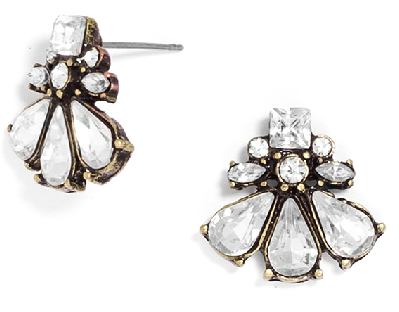 Such pretty earrings that can match a variety of outfits. Also just added the makeup organizer to my shopping cart. I've had my eye on similar ones forever and need to get on it! LOVE that makeup organizer. I desperately need one. Those stud earrings are gorgeous, would be perfect for work. I just got some Kendra Scott studs for Christmas from my dad! Gimme those gummy bears!! And I hope you get that phone case- I love all my Sonix cases! Yes to all of it! And the prices are unreal! Those gummy bears are my favorite!! And gimme those flats :) LOVE! 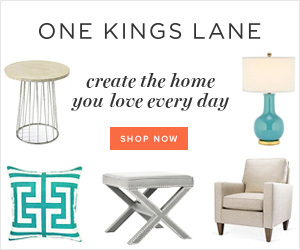 I'm like you--it's been hard thinking of present ideas because I just buy what I want! I've quit buying things and started emailing my husband everything I want so we'll see how that goes! I loe that make up case and can't believe how cheap it is! Those flats are amazing, I love them. I would die for some Valentino's too! :) I didn't ask for anything specific, I'm so weird...all year round I'll be like, I want this and this for Christmas and when it comes around, I blank. LOL! I've been obsessing over these Valentino lookalikes for so long now too! They come in so many colors and look SO real! I haven't pulled the trigger yet, but I might have to soon haha! Love that pretty desk calendar too! Love that passport holder & those gummy bears look super yummy! I'm the same way..if I want something bad enough I buy it for myself. I've started buying myself things that I want and wrapping them for people like my grandma and dad who have no idea what to get me. LOVE the calendar, seriously so cute! Gummi bears with champagne in them? That sounds like the best holiday gift to myself ever! Champagne gummy bears?! Like, do they have alcoholic content or just taste like "champagne flavor?" That passport case is wonderful and for the price, I need one to go with every outfit haha! Love that make-up organizer! I think for $20 I might have to scoop one up for myself! It really is so much harder to come up with gift ideas the older we get! But I swear if it's not Christmas and people aren't offering to buy my whatever I want I could come up with a mile long list...oh well! Loving all your picks! Those champagne gummy bears need to get into my stomach stat! 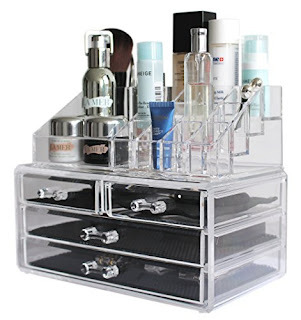 I have an acrylic organizer on my list too! I may have just sent Adam to my blog to see my recent wishlists when he was asking what I wanted for Christmas. I also really neeeeed to add those gummy bears - so fun! I love that makeup organizer and those flats! Such cute ideas! That makeup organizer is a game changer! I may have to snag one of those for myself! That organization tray is perfection. I would definitely love that for Christmas. That makeup organizer is cute, and the passport holder is so cute and would be perfect for your big trip next year! 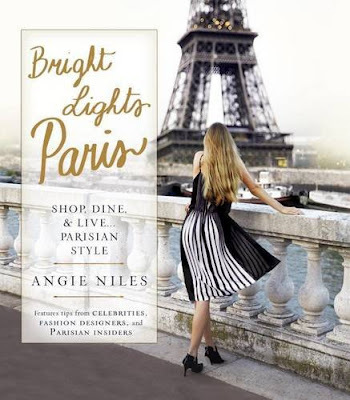 The Paris book is also gorgeous and would great on your table! I love the makeup organzier and the passport holder. I'm with you on the Valentino Rock Stud flats. Besides, I'd rather spend money on shoes that have heels or wedges. I have a hard time spending a lot on flats even though I do wear them a lot. All I want for Christmas is for things to slow down and have time to actually enjoy myself. I want those flats too! Halogen also makes several styles of shoes that look like Valentino...they are pricier than $15, but I think they fit really well and the quality is great! You need those flats, I LOVE mine! And maybe an endless supply of the Sugarfina jellies please! The gummy bears is such a lovely gift! oh girl, a good coffee table book is everything in this world, I tell you. That one looks particularly GORGEOUS. Love, love, love!!! And I love the passport holder!! how have i not had sugarfina candy!?!? how cute is that passport holder? what a steal! I loveeeeeeeee those flats oh my great find! I love all of your picks for Christmas. I would want the makeup organizer just because it's so cute rather than for makeup. And I'm on such a rose gold kick I'm definitely wanting that rose gold phone. I have the gold one now. I looooove those earrings! I may buy them for myself too! What is your snapchat? I want to follow you! I am the exact same way! This year in particular I had a hard time coming up with gift ideas for myself - I'd rather have stuff for our house. That Paris book looks gorgeous! I love that passport holder! I looked so long and so hard for my current one though.... that I feel like I should give it a little more love before getting a new one!! I've heard Sugarfina has a cult following! I'll have to check them out next time there is a voucher on gilt! those bears are the best! i got some last year from a client and loved them. now i need more! :) i have the studded flats in hot pink and red, and i get compliments every time. I feel like I'm about to need a makeup organizer. I don't have one now but that would be perfect! And those gummy bears sound AMAZING! 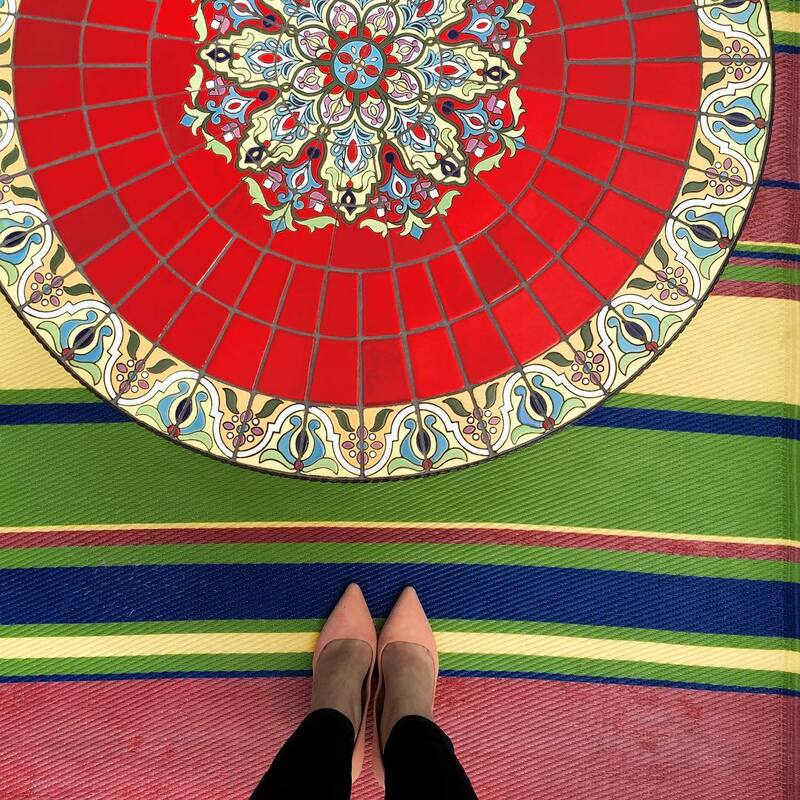 Those flats are gorg! And I love me some gummy bears too, haha! Great picks girl! Champagne infused gummy bears, count me in! Great pick for the book. I want to try those champagne bears-yum! 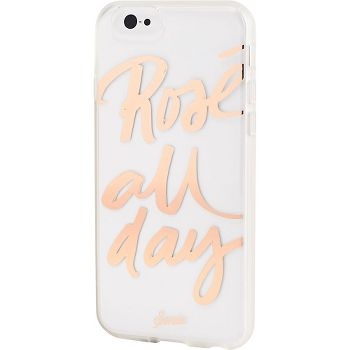 Love the rose all day case-so cute! I have a make up organizer very similar to that one and I love it!!! That cell phone case is so cute and I want to try those gummy bears! I love gummy bears!